This was supposed to be part of a giveaway event, but I never received the information for the event. I’m hopping the blogger in charge is okay! If I do receive that info, I’ll add it back in so you can check out the other participating blogs. We don’t need an event for an awesome change to win, though, do we? Yesterday I reviewed the Breakfast in Bed set from Pacific Merchants and promised you a giveaway. Here we are! In case you missed that review (I’d love it if you could check it out! ), the set includes: a hand-carved acacia wood tray, a matching 7″ square plate, a calabash bowl and a Kilner jar (not pictured). The total value of this beautiful set is $56.95. Check it out over at Pacific Merchants. While you’re there, if you see something else you absolutely have to have now, use coupon code PrettyOpinionated20 to get 20% off your order. Giveaway is open to US residents age 18 and ends on December 28th. Enter below for your chance to win! I like the Mason Cash White Pudding Basin, Size 18, 8.75″ x 4.75″ (3qts). I love the open crocks. I love to put homemade lemonaid in them. I would love to own their Purple Tagine for some good Moroccan cooking. Thanks for the nice giveaway. 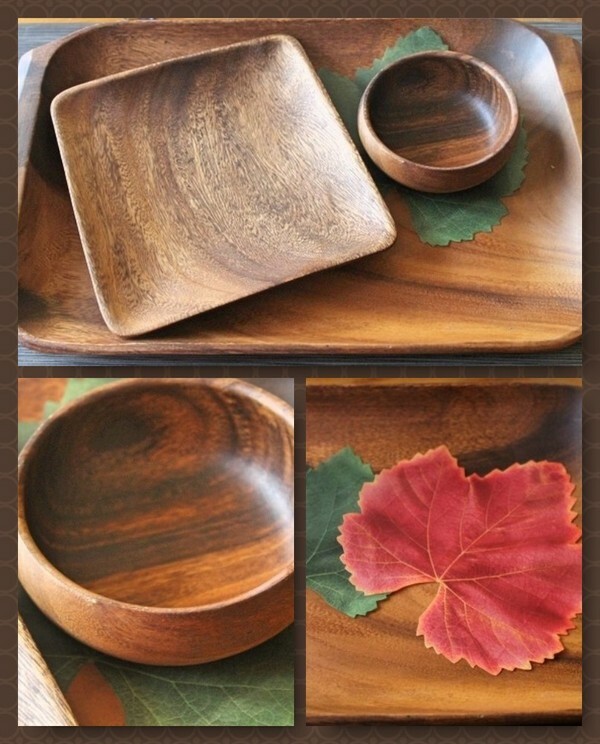 I’d also love the Acacia Wood Salad Serving Set! I like the large wood pineapple bowl. It’s so cute! I really like the Acacia Wood Shell Chip & Dip Tray, 13″ x 9″ x 1.5″. It is very nice and practical. I love this set, the dark wood inspires me to redecorate my whole kitchen! No seriously, the appetizer tray or the salad bowl serving set would be great compliments to this set. This is a beautiful set. i have a hand carved wooden bowl made by a local artisan, and I use it all the time. I would love to have the Acacia Wood Serving Tray with Handles, I am a huge fan of serving trays. I love the baguette tray! We buy a lot of French bread and baguettes in my house so that would be perfect for us. I like the acacia wood bowls or several other items they have available. I love the Acacia Wood Shell Fan Chip & Dip Tray. I also love the Acacia Wood Round Calabash Bowl, 14″ D x 6″ Depth.